Fear not beginners! Here are some of the best beginner friendly squat variations to build muscle and learn how to squat properly. The squat can be a daunting movement for beginners (and intermediate/advanced lifters alike). With a plethora of squatting variations, styles, and coaching perspectives on the squat and its purpose in a program, it’s easy to see why beginners may be hesitant on performing this movement. 3 Reasons Why Beginners Should Squat? In a previous squat exercise guide, we discussed the squat in-depth and the immense benefits that it offers all lifters and athletes. Below are just a few of the top benefits that beginners gain expect to gain when performing any of the beginner friendly squat variations below. Squatting is one of the most effective exercises for building total body strength and lower body muscle mass. 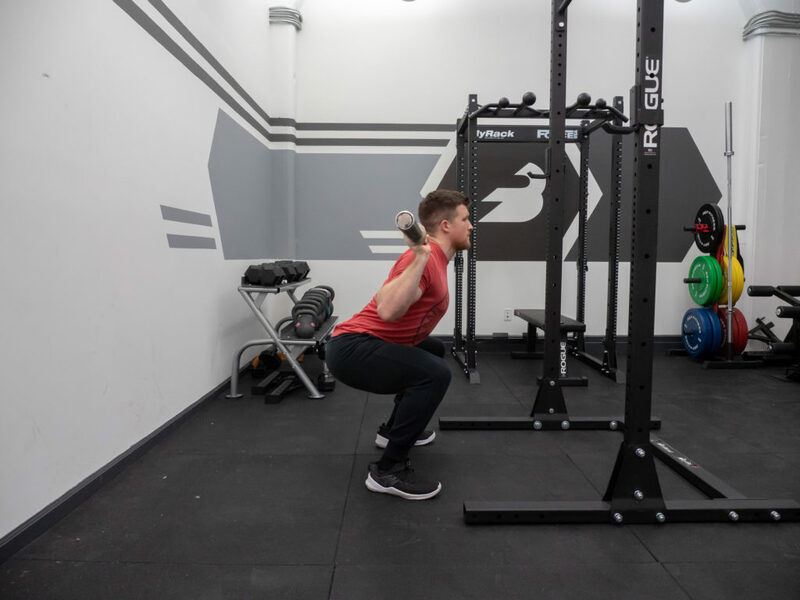 The squat and all its variations have stood the test of time, are highly functional to daily life and athletics, and should be movements beginners should master and continue to train throughout their training. The squat is a movement that trains the lower body and glutes, both of which are responsible for athletic performance markers like running, sprinting, and jumping output. While squatting alone will not make you jump higher and run faster (it may have a slight impact), it will give you the raw materials and horsepower to improve sprinting speed, running mechanics, and jumping (still need to learn how to run correctly and jump properly). Squats, especially loaded ones, create spinal compression (as does most load-bearing exercises). This produces a response within our body and bones to remodel bone tissue to withstand greater amounts of force, ultimately resulting in stronger bones. This is key for overall training longevity, injury prevention, and overall well being as athletes and lifters age (bone density has been shown to drop significantly after menopause in women and after the age of 65-70 in men). Train the squat and start building long-term bone and muscle strength. The squat is a compound exercise, which means that it utilizes a large amount of muscle groups at once due to the multi-joint actions that are occurring at the ankles, knees, and hips (flexion and exertion). In doing so, a lifter can target the lower body while also increasing back and core strength (depending on the loading and exercise used). Below are the main muscle groups involved in squatting. The quadriceps are responsible for knee extension, and are highly engaged in the squatting movement (especially in the front squat, high bar back squats, and narrower stance squatting variations). The glute muscles assist the quadriceps in the squatting movement by performing hip extension and increasing knee stability in the squat. Active glutes play a large role in overall lower body strength and power, deadlifting performance, and athletic output (sprinting, jumping, running, etc). Most of the squatting variations involve a lifter placing loads either on the upper back or supporting the load on the front of the body (such as in the front squat, goblet squats, or Zercher squat). In doing so, the lifter’s upper, middle, and lower back must resist spinal flexion and therefore are strengthened to resist injury and maintaining proper alignment. The core (abdominals, obliques, transverse abdominals, and erectors) are all highly active in the squat. Many beginners may not understand how much loading can occur in the squat, and once you become more advanced a hard set of squats can do wonders for your midsection and core strength (far more than endless sit ups). Below are five (5) squat variations beginners can use to build strength, improve squatting technau, and reinforce proper movement patterning necessary for more advanced squat training. The goblet squat is one of the more foundational loaded squat movements beginners can do to engrain proper squatting mechanics. The front-loaded squat allows lifters to keep the back extended and upright, as the weight is used as a counterbalance. Additionally, like the Zercher squat, the goblet squat reinforces vertical squatting position as it will often pull a lifer forward who is out of place; ultimately forcing proper squatting mechanics. The box squat is a squat variation that allows a lifer to engrain proper squatting mechanics and patterning, as the box acts as a target for them to assume proper depth and alignment in the bottom of the squat. The box squat can be done with a barbell, combined with a goblet squat, or even done with bodyweight to help boost coordination, confidence, and foundational strength in the lower body. The split squat is a regressed unilateral lower body exercise that can be used to build foundation leg strength, balance, and stability in beginner lifters without needing high amounts of loading. 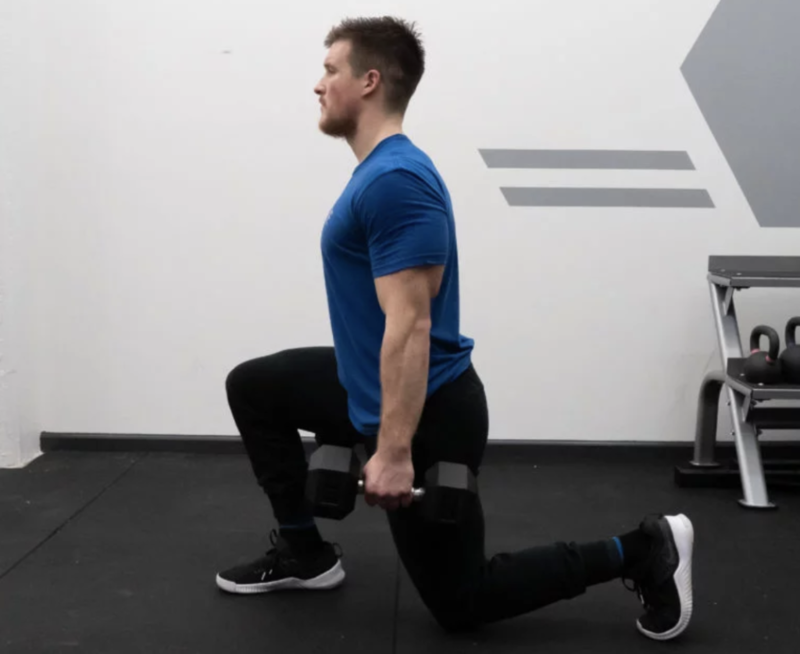 Often, increasing unilateral stability, coordination, and strength can have a positive impact of bilateral squatting patterns while addressing any muscular imbalances and movement asymmetries that may be present. 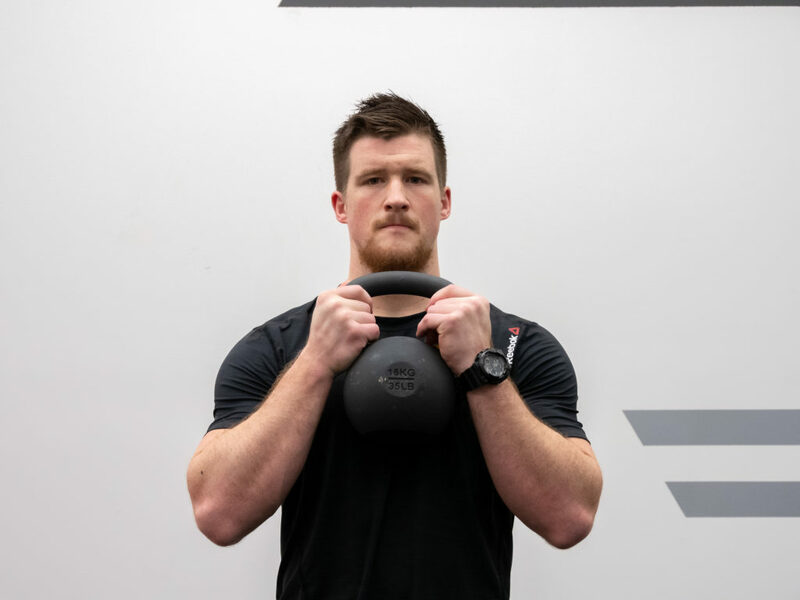 The Zercher squat is a type of front loaded squat, similar to the goblet squat, that can help a lifter feel more balanced (due to the counterbalancing of the front loaded weight) in the squat. Additionally, the front-loading forces the lifter to sit down with a more vertical torso and often impede them from collapsing forward in the squat. Believe it or not, many beginners have the capacity to perform a pretty dang good back squat. If, after you run your baseline assessments and determine that the lifter is fit to squat (proper mobility, movement control, etc), they can step under a back squat and start performing controlled repetitions (tempo squats, pauses, etc). This will allow them to start learning transferable movement skills to more advanced movements and help to initiate muscle growth, body composition changes, and more. Want to Learn More About Squats? Hungry for more articles and advice on how to build serious strength and muscle with compound exercises like squats, deadlifts, and presses? Check out the below articles and get training!